2018 Land Rover Discovery Si4 review – price, specs and release date | What Car? Diesel engines and Land Rovers. They go together like fish and chips, bangers and mash, tea and biscuits, bread and butter – you get the idea. Not only are they both British preoccupations, but they also compliment each other perfectly - diesel engines typically providing both better fuel economy and plenty of low down grunt for off-roading. So why, you might ask, is the Discovery you see before you fitted with a tiny turbocharged four-cylinder petrol engine? A motor that only a few years ago would have seemed inappropriate in anything larger than a family hatchback. Well, it would seem that large SUVs have finally fallen victim to the hysteria that has long been surrounding oil-burning engines. Not only has Porsche recently decided there is no place for diesels in its current line up, but other JLR competitors such as Audi, Mercedes and BMW are focusing on the benefits of electrification, while downplaying their current reliance on diesel. So in light of these new market demands, is Land Rover’s decision to offer a downsized petrol engine simply a marketing ploy? Well, not exactly. We’ve previously tested this turbocharged four-cylinder in two very different applications, both in the Jaguar F-Type and new Range Rover Velar, and have been impressed with its refined nature and punchy performance. 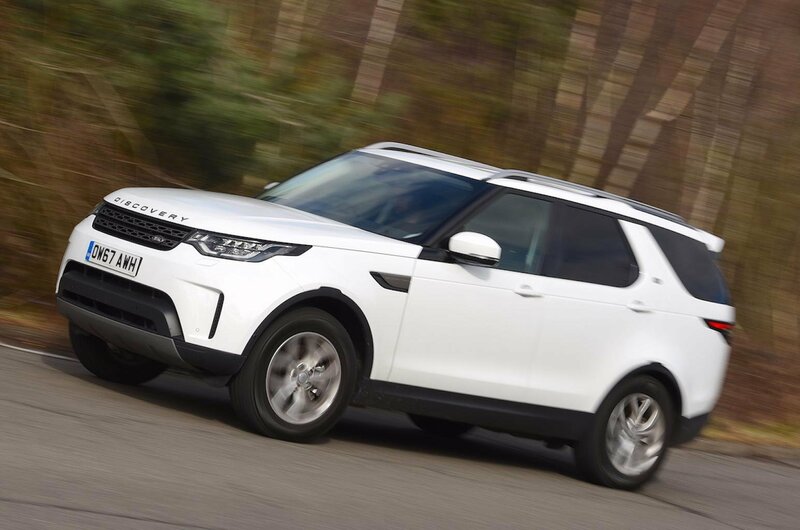 It also offers a cheaper entry point into the Discovery range, and on paper at least, looks like it could well be a match for the larger TD6 V6 diesel in terms of performance. There are actually two petrol options when buying a Discovery: a range topping 3.0-litre supercharged V6, or the entry-level 2.0-litre turbocharged four-cylinder that we’re testing here. Now, you might be surprised to learn that we were rather disappointed when we tested the former earlier this year. Because despite it being the quickest model in the Discovery range, it has to be worked very hard to feel as brisk as the numbers suggest. Driven normally, it actually feels a little weaker than the less powerful V6 diesel. There’s no such problem with the smaller four-cylinder. With maximum grunt on tap from just 1500rpm (versus a heady 3500rpm for the petrol V6) the Discovery accelerates with an urgency than belies its two tonne curb weight. Granted, the accompanying four-cylinder engine note won’t be to everyone’s tastes, but it’s far from gruff or gravelly while its 0-62mph time of 7.7sec is nothing to be sniffed at. That said, you’ll need to temper your excitement if you want to return decent fuel economy. With roughly the same drag coefficient of Blenheim Palace, our Si4 test car struggled to return more than 25mpg on our mixed test route (Land Rover claims 29.4mpg is achievable). Load it up with people, skiing gear and a full tank of fuel and we reckon it'll dip into the high teens. Not ideal for a car that has been designed to excel on long distance journeys. But is poor fuel economy a deal breaker? Well, you have to look at the alternatives. 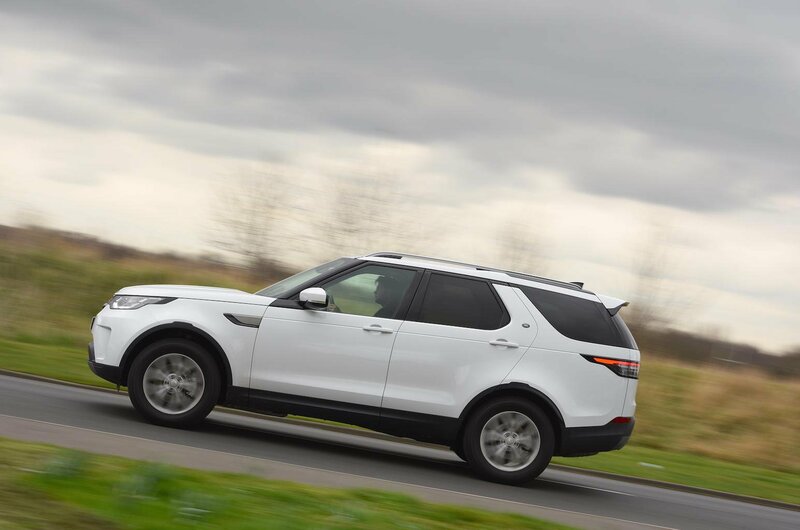 We’re currently running a Discovery TD6 as a long termer and despite Land Rover claiming that it should return 39.2mpg, we rarely see the trip meter show more than 26mpg. We suspect the 2.0-litre four-cylinder SD4 diesel wouldn’t be a whole lot better and the supercharged petrol V6 would probably have you remortgaging your house to fund its gasoline addiction. So given that context, the Si4 doesn’t seem so bad. There’s also a slight dynamic advantage if you opt for the Si4 as it has less weight over the nose than the heavier diesels, which in turn gives the Discovery a slightly sharper front end. However, this is no sports car. Yes there’s enough grip to hustle it down a B-road at moderate speed, but it feels cumbersome and uncomfortable doing so. Instead this is one vehicle that is best enjoyed at a leisurely pace. It’s also worth noting that this Discovery on relatively small 19in wheels rode no better than our long-term test car does on its optional 22in alloys. 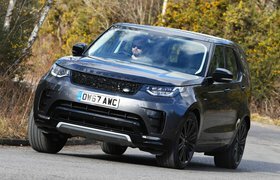 We suspect this is down to the fact that JLR tunes its cars to work well on larger wheels, which in this case is a good thing, as the Discovery looks seriously underwheeled as standard. You'll find a full breakdown of the Discovery’s interior over at our full 16-point review. Click here to get detailed information on front and rear space, the Discovery’s boot and its seat flexibility. But in short, the Discovery is one of the most practical cars in the SUV class. 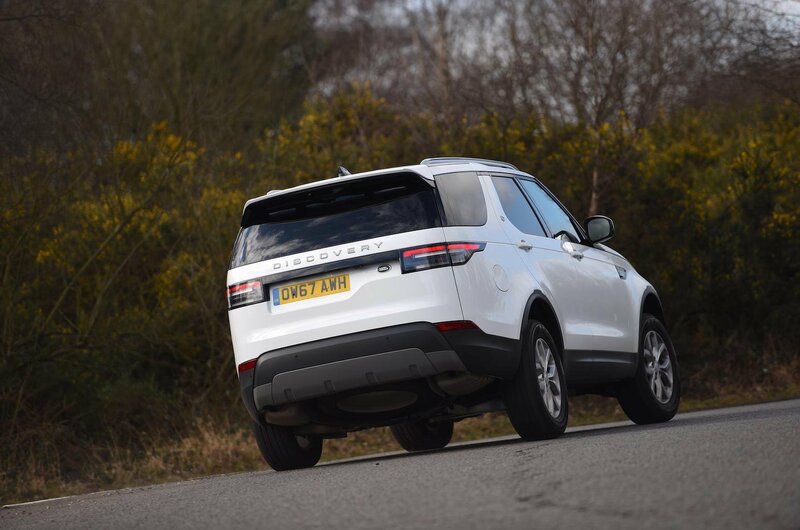 It doesn’t matter what size or shape you are, you’ll have head room and leg room to spare in the front of the Discovery, plus there’s good visibility front and back – although standard parking sensors and an optional reversing camera help with the latter. 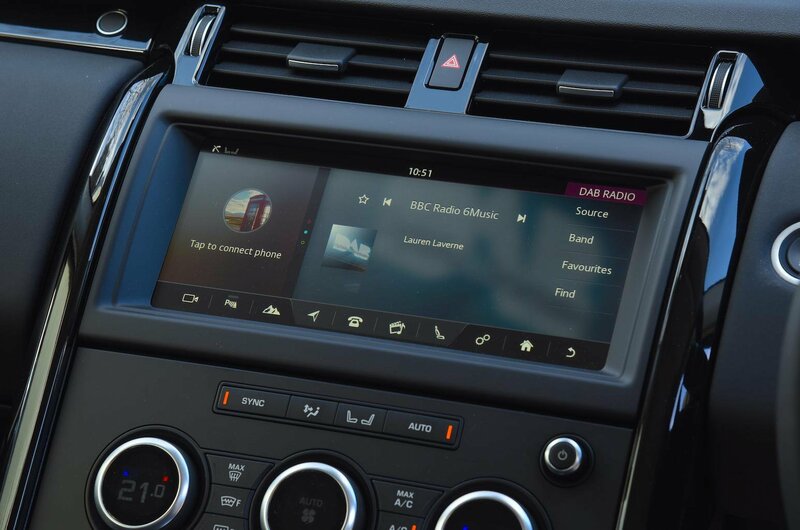 Unfortunately, the Discovery’s infotainment system, which is accessed through a 10.0in touchscreen, isn't as easy to use as those of its rivals, while interior quality is somewhat mixed. You can read more about why this is in the interior layout section of our full Discovery review here. In the back, though, the Discovery is truly class leading. Sitting in the second row of seats, you'll find loads of head room, while the sheer width of the interior makes sitting three abreast pretty comfortable for all concerned, especially since there’s no central tunnel in the middle of the floor to rob passengers of foot space. And yet, the Discovery’s true party piece is to be found in the third row. Unlike rivals such as the Audi Q7, Volvo XC90 and BMW X5, the Discovery has been designed from the ground up to be a true seven seater. Two adults should be able to sit in the rear in relative comfort, and there are even soft pads just under the rear windows so you’ve got a comfy armrest.